A map, a few days off and an unexplored mountain. 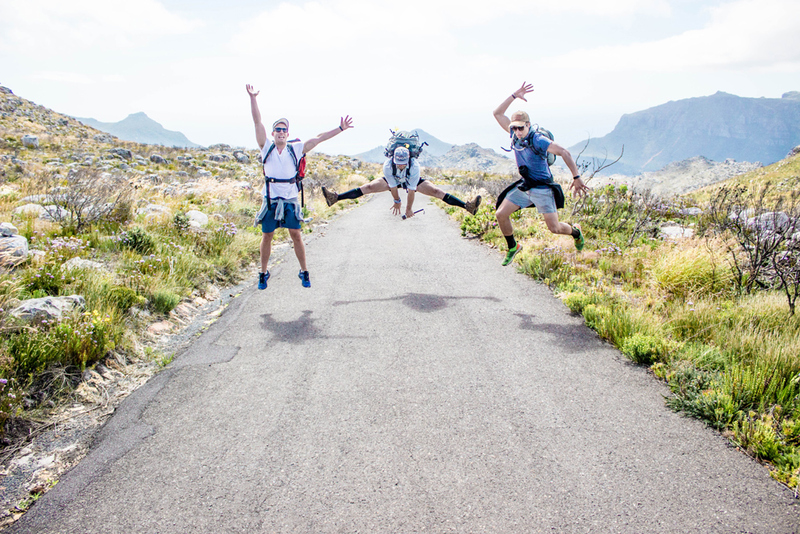 Those were the key ingredients for an epic microadventure, a rapturous 3-day hike from the entrance of Cape Point to the Cape Town city bowl. 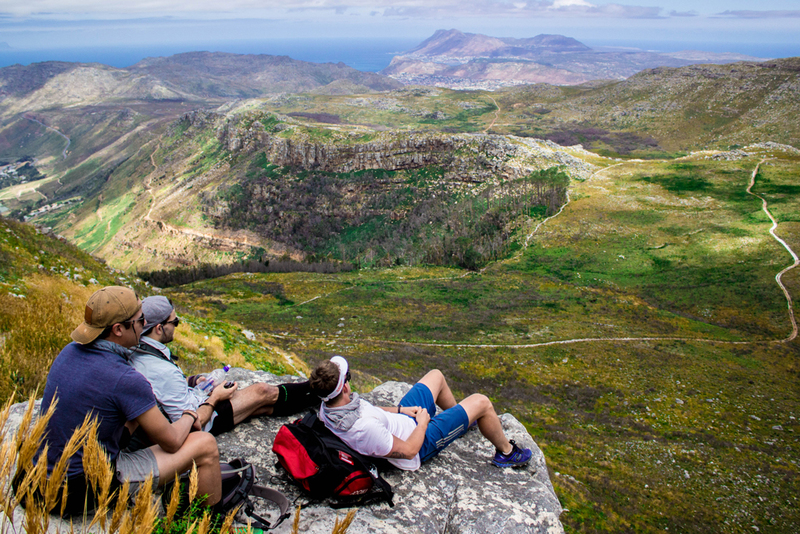 Okay, Table Mountain National Park isn’t exactly foreign, but what the trip lacked in novelty it made up for in sense of adventure. We plotted our own route and chose trails we hadn’t hiked before, which gave the hike an exciting edge. 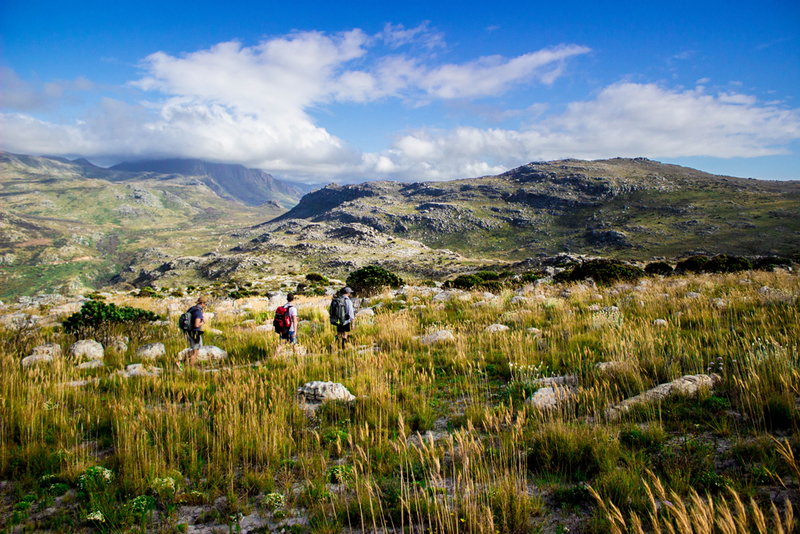 If you’re into multi-day hikes, South Africa has a plethora of them. This was something completely different though. This was a microadventure. Trying to balance a normal working life with an adventurous one is a challenge many of us struggle with, so Humphrey’s thinking struck a nerve. If I couldn’t quit my job to do a six-month road trip across Africa, what could I do? If you’re a Capetonian, what is a simple expedition close to home, affordable and easy to organise? I suppose all answers (and paths) lead to Table Mountain. 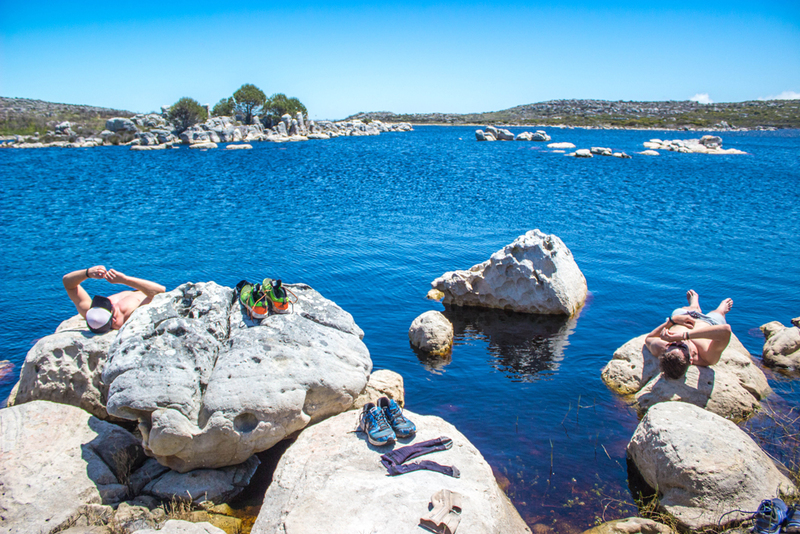 A few friends and I took a Friday off, got dropped off at the Smitswinkelbaai huts at Cape Point and set off for Kalk Bay, 30kms away, via the Kleinplaas Dam. Twelve hours later we arrived at the Kalk Bay Backpackers, slightly crippled yet exultant. 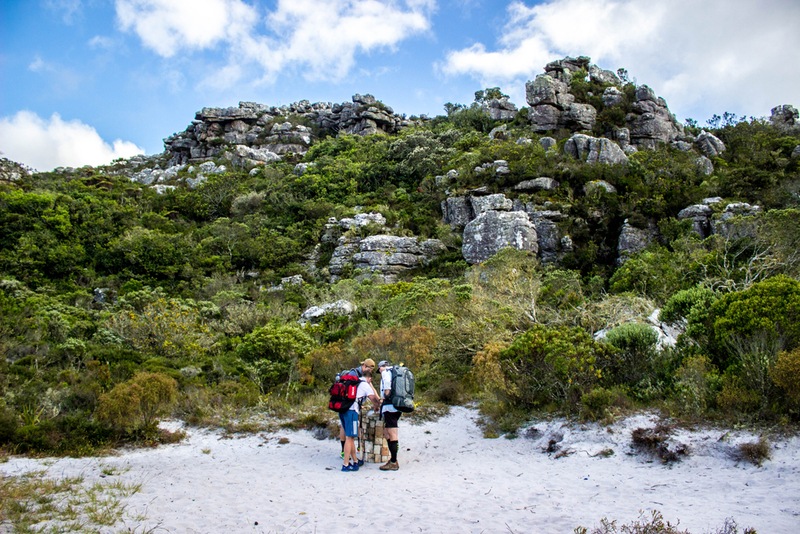 The next morning we walked up Echo Valley to Silvermine Nature Reserve, past Elephant’s Eye, over Constantiaberg and down Bokkemanskloof into Hout Bay, where we stayed for the night. Our final leg on the Sunday took us up Llandudno Ravine, along the 12 Apostles, down Kasteelspoort and along the Pipe Track. Three days and, what our Smart Trackers tell us, 85 km later we returned to the city exhilarated and refreshed. We plotted it all on Google Maps and spent only a portion of what we would have had we gone out to restaurants or events over the weekend. This was the best “short, perspective-shifting burst of travel closer to home,” we could have dreamed of. And it was free, accessible and breathtakingly spectacular. Our first morning started with a climb up the teasingly-high peak of Swartskop (678m). Gale-force winds blowing off the ocean pinned us against the mountain and made it difficult to walk. Everything was wet to touch and we couldn’t hear ourselves talk over the winds. It was the perfect way to clear away any office malaise or cubicle funk we were mentally carrying with us. In those miserable conditions, we gleefully screamed into the winds and continued on. The weather cleared and we found the naval base on top of Red Hill that we needed to bypass. Just before that we came across a defence barracks from World War I. Here we refer to our printed Google Maps map to figure out how to get to our next landmark, the Kleinplaas Dam. Our lunch spot on the first day was a different world to how our morning had started. Under a warm sun we dipped our feet in the water, had our tomato and cheese rolls and rested after the intense morning hike. We later marched over the hills towards Clovelly, Fish Hoek and finally Kalk Bay. 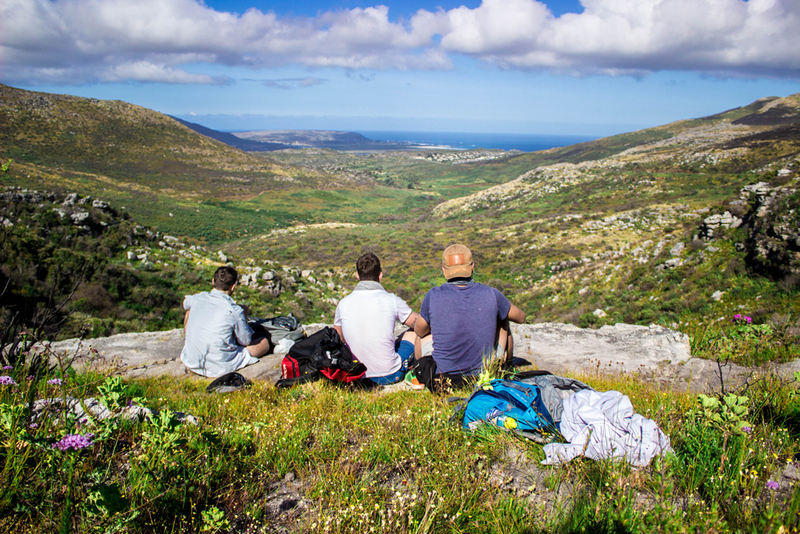 We started the second morning with a hike up Kalk Bay’s Echo Valley. 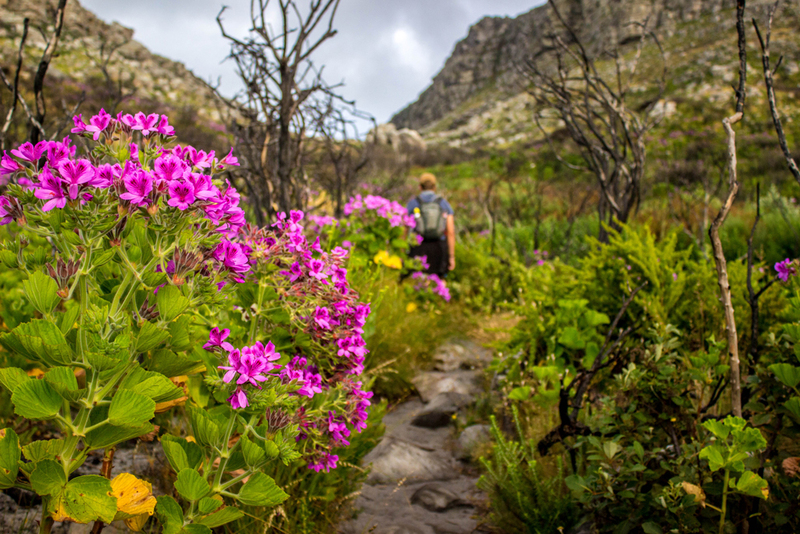 Due to the fire from March 2015, burned bushes alongside blooming flowers was a common sight along the hike. After one particularly beautiful stretch, I thought that every touch of a stone and every brush of a leaf was like a kiss and caress from Mother Nature, revitalizing us with nature’s energy. At every major fork in the road, there are helpful maps to point you in the right direction. 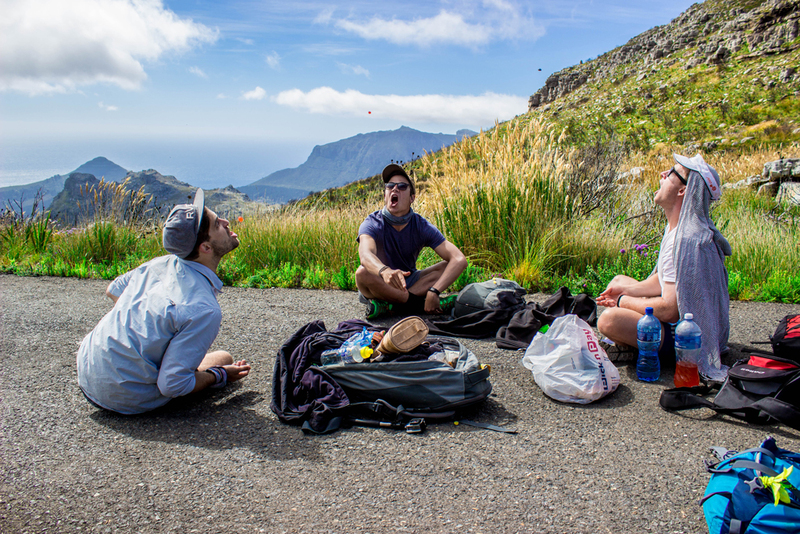 In the Kalk Bay Amphitheatre our group figures out the route to the Silvermine Nature Reserve. The weather conditions were perfect on the Saturday with a little cloud cover and a slight breeze – you can see a hint of it in the bend of the grass – to ensure it didn’t get too hot. 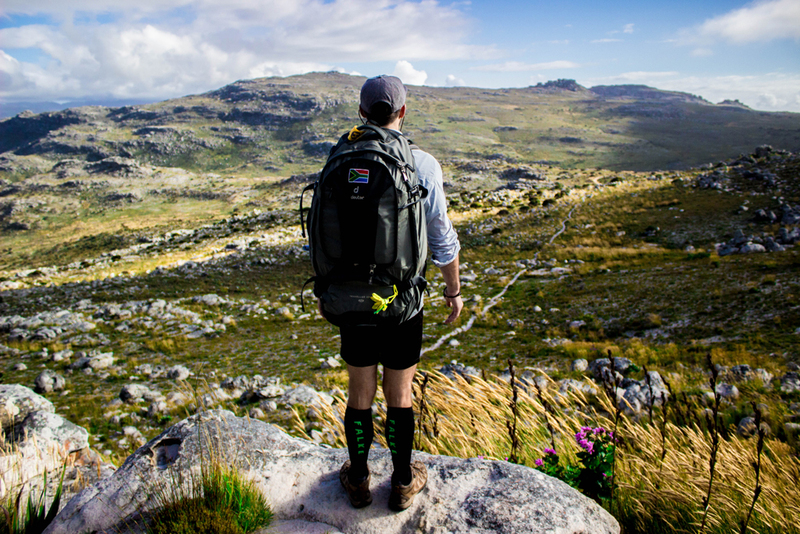 Here, Reuben stands overlooking the path to Silvermine. Despite being so close to the city, for the majority of the hike we saw very few other people. There were stretches where we felt like we had the mountain all to ourselves. Our breakfast spot on day two was above a waterfall, looking towards Kommetjie and Noordhoek. One of the great joys of hiking long distances is that you need to constantly snack to keep your energy levels up. I know many people who would go on a hike like this exclusively for that pleasure. This is a quick stop on our way up to Constantiaberg. 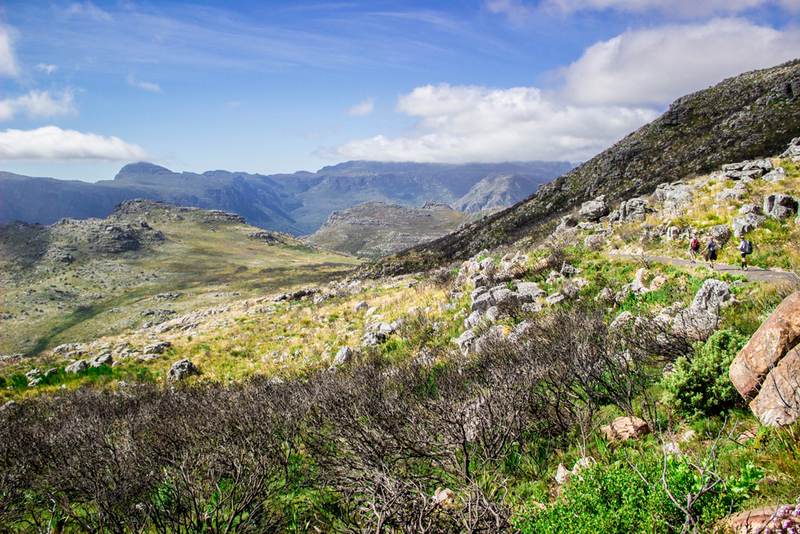 At 927m high it is the third-highest peak (after Maclear’s Beacon and Devil’s Peak) in the Table Mountain range. Here we rest and look back on where we have come. In the far distance we can see Red Hill and the naval base where we were the previous morning. The service road up to the Constantiaberg beacon appeared seemingly out of nowhere. It was eerie to walk along a deserted road and be able to look down on top of Table Mountain. It did, however, give us some time and space to fool around. When you feel like a break, it’s time for another snack. Here, my three talented friends go for the triple soft gum catch in the mouth… And nail it. 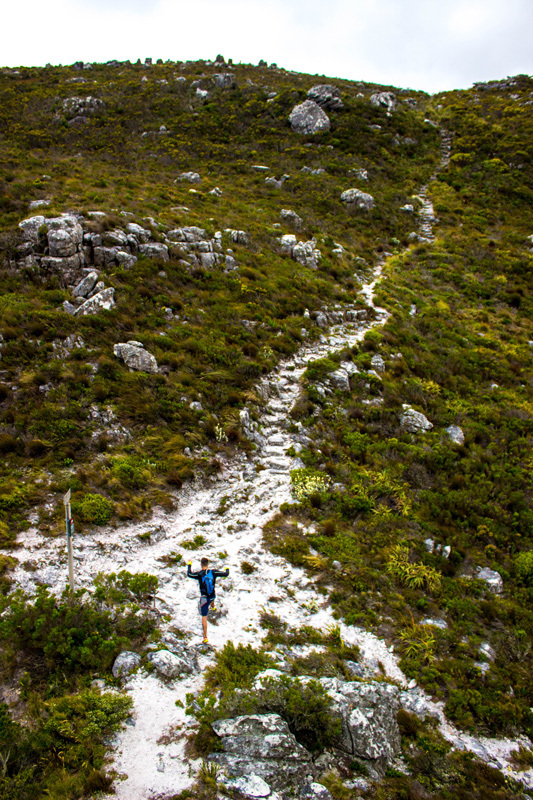 Bokkemanskloof, the ravine to Hout Bay, and its steep descent lies just ahead of us. In the distance is the back of Table Mountain, a stunning forested section called Oranjekloof. 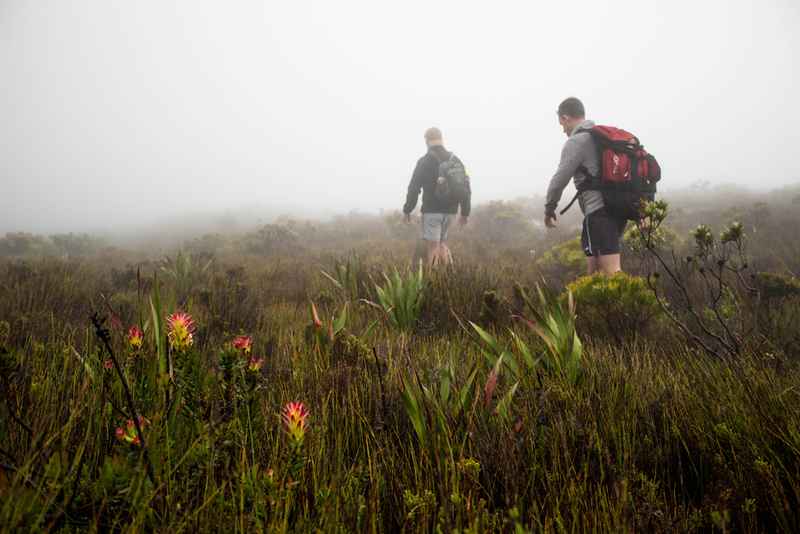 Due to the environmentally sensitive nature of Oranjekloof, hikers are required to organise a permit for that section of the national park. The climbing continues on day three, despite the blisters and sore muscles. 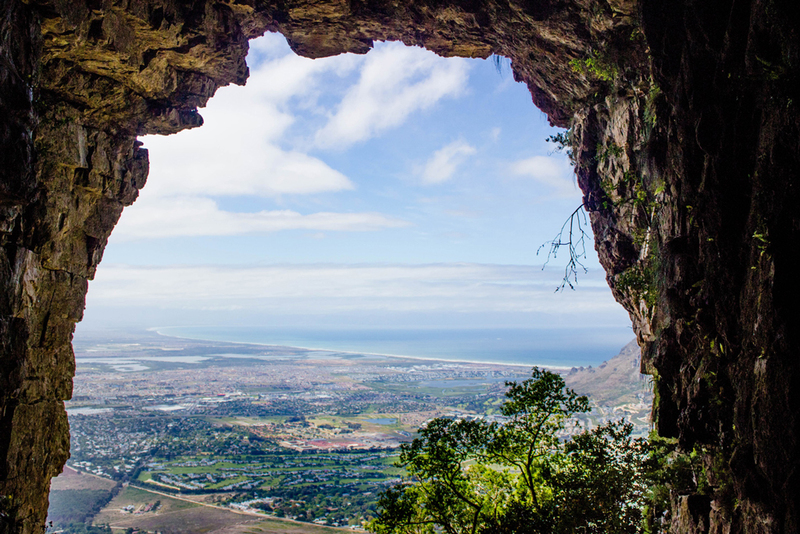 Llandudno Ravine is one of the many recognised routes up to Table Mountain. In the background is Llandudno, Sandy Bay and Klein Leeukoppie. 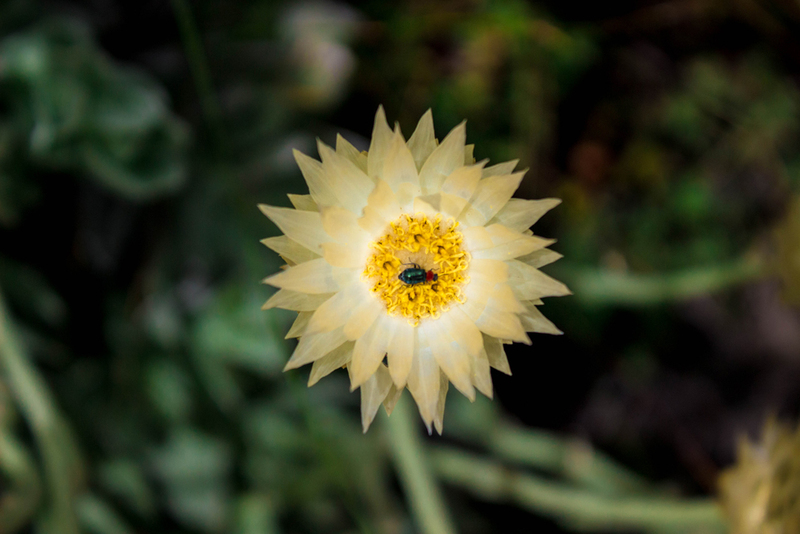 This is just one of the 2,285 plant species found in the Table Mountain National Park, a number exceeding the plant species of the UK. I’ve been aware of that statistic for a long time but only during this hike did I comprehend how startlingly diverse the plants and flowers really are. There were many stretches where every few steps a new plant appeared, and then another and another. Yellow pincushions accompanied us throughout the hike and white, yellow, pink, purple and even blue flowers popped up the entire length of the path, the world’s most beautiful chaperones. If you’d like to go on a similar hike, a good time to go is in spring, as we did, when nature is in its full glory. A few more friends joined us for the Sunday leg of the hike. 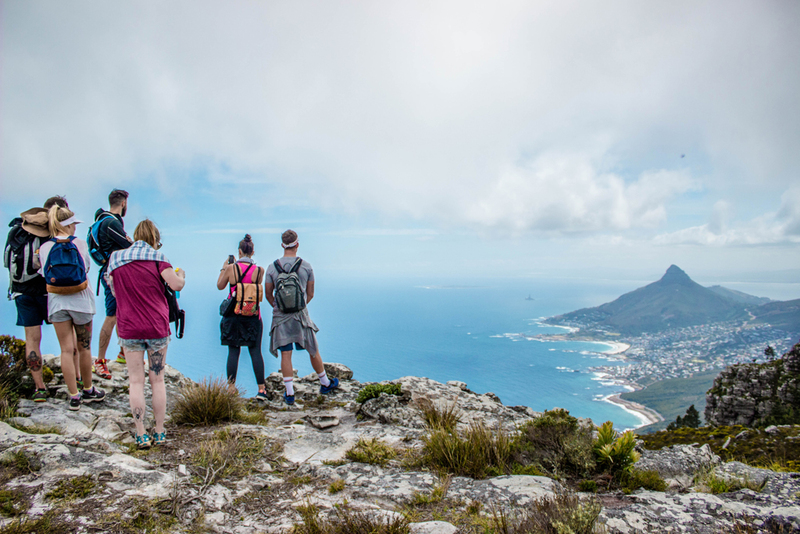 Once we were up Llandudno Ravine we were granted excellent views of Camps Bay, Lion’s Head and Robben Island. The final hurdle. 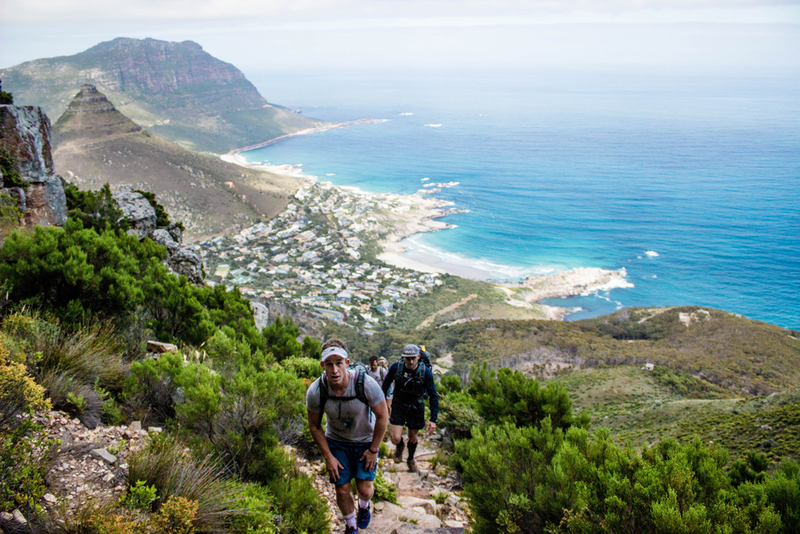 The white sandy path – a clue to the mountain’s geological history – led us over the ridges of the 12 Apostles, past the Old Cableway and Tranquillity Cracks, and down Table Mountain where we finished our microadventure, fatigued but wholeheartedly inspired. 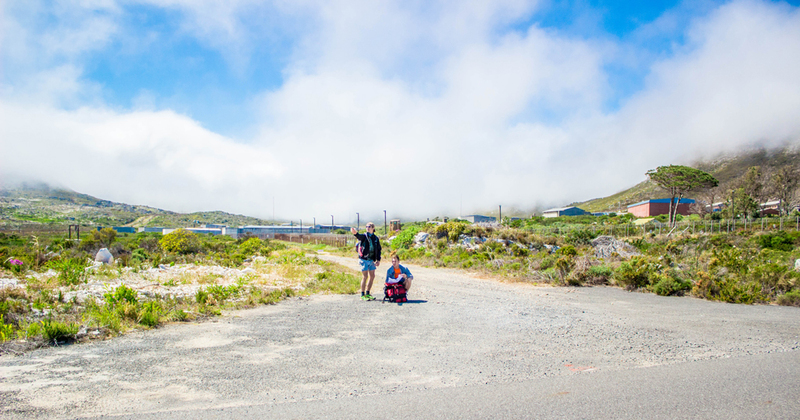 We were dropped off at the entrance to Cape Point at sunrise on Friday morning and finished on Sunday evening. We mapped the route using Google Maps and lost our way at the start quite often but that was half the fun. Be warned: this is a tough hike and the first two days we hiked for twelve hours each day. We stayed at friends’ houses in Kalk Bay and Hout Bay. *This article originally appeared on Getaway.